In the NFL, a running back is one of the most important aspects of a team. It’s also one of the deepest positions in the league with some of the sport’s most dynamic players boasting abilities that can nearly carry an entire franchise. This makes it extremely difficult to create a list of the best running backs. However, here are the top five running backs currently in the league. In a league that is often dictated by the “what have you done for me lately” mindset, Doug Martin entered this season seemingly on the fringe of his NFL career. He came off two consecutive sub-par campaigns, rushing for less than five yards in each season. However, Martin had another breakout season in 2015, rushing for 1,402 yards, which was second in the league behind the Minnesota Vikings’ Adrian Peterson. The Muscle Hamster was back in full force in his fourth year in the league, recording at least 70 yards on nine occasions, including topping the century mark four times. He also posted his second career 200-yard performance with 235 rushing yards against the Philadelphia Eagles. It was the second-most rushing yards in a game since his breakout performance against the Raiders, making him the third player since the merger with two games of at least 235 rush yards in his career (behind Corey Dillon and O.J. Simpson). Martin also displayed the playmaking abilities that made him a promising star after his impressive rookie season. He notched a career-best 4.9 yards per carry in 2015 and finished third in the league with 61 rushes for first downs. His struggles over the last two seasons may have been due to his health, but this season showed that he’s back to being the same explosive runner who deserved his second career Pro Bowl selection. The four-time Pro Bowler became somewhat of an afterthought following the Kansas City Chiefs’ tremendous level of success this past regular season without him, as they won a franchise-best 10 straight regular-season games. 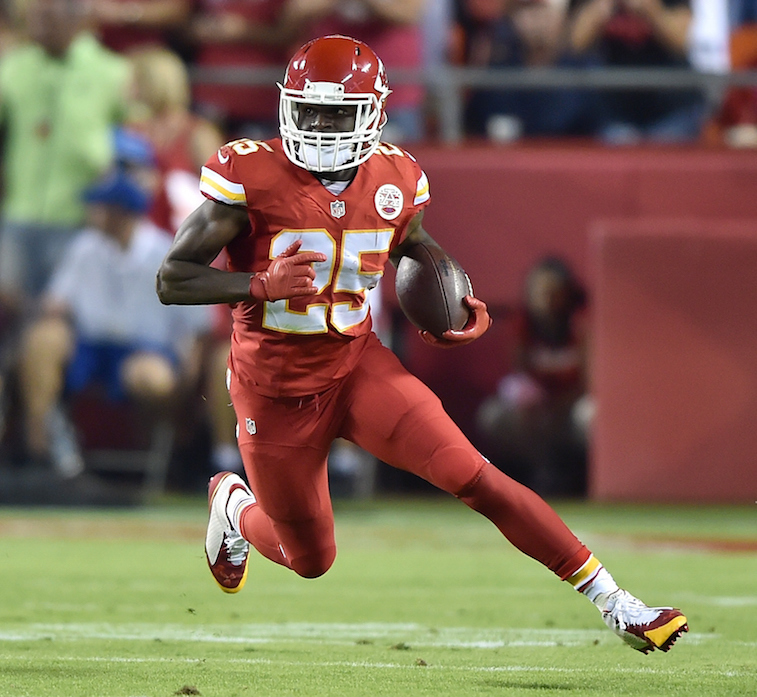 It was quite a remarkable feat given Jamaal Charles‘ large role in the Chiefs’ offense. Although Kansas City was able to suffice without him in the final 11 games of the regular season, we can’t second-guess how important the 29-year-old is to the team’s overall success. Charles is as talented as they come at his position. Over his first eight seasons in his career he has established himself as the face of the franchise and one of the top running backs in the league. Charles entered 2015 with three straight campaigns of over 1,000 rushing yards or more (and six overall in his career). It could have been seven consecutive seasons with over 1,000 rushing yards if he had not suffered a torn ACL in the second game of the 2011 season. Although there may be some concern over the fact that he’s suffered a second ACL injury in combination with his age, Charles is still one of the league’s most dangerous running backs, holding an NFL record with a career 5.5 yards per carry. This includes rushing for at least 5.0 in each season and topping 6.0 yards a carry twice. All in all, Charles may be coming off his second serious leg injury, but his proven track record shows that he still belongs in the conversation among the best at his position. The Los Angeles Rams’ running back burst onto the scene in his first four career starts, becoming the first rookie in NFL history to rush for 125 or more yards in four straight games. Todd Gurley‘s 566 yards during that span is a league record in the Super Bowl era. He also tied the Rams’ rookie record for the longest streak with 100 rushing yards, joining the likes of two Hall of Famers, Jerome Bettis (1993) and Eric Dickerson (1983). Gurley’s 1,106 rushing yards and 10 rushing touchdowns made him just the second Rams rookie to record over 1,000 rushing yards and at least 10 touchdowns. His streak of five straight games with a rushing touchdown is the Rams’ longest since Hall of Famer Marshall Faulk did so in the 2001 season. Gurley’s standout performance in the 2015 season helped him earn his first Pro Bowl selection, which may become a normality because of his unique skill set. Gurley has a rare combination of speed, power, and field vision that makes him a serious threat to break open a big run on any given play. This is evidenced by his second-place finish in the league with 11 20-plus yard runs behind just Martin. What’s most impressive about his play in his rookie campaign is that he accomplished this less than a year after tearing his ACL. 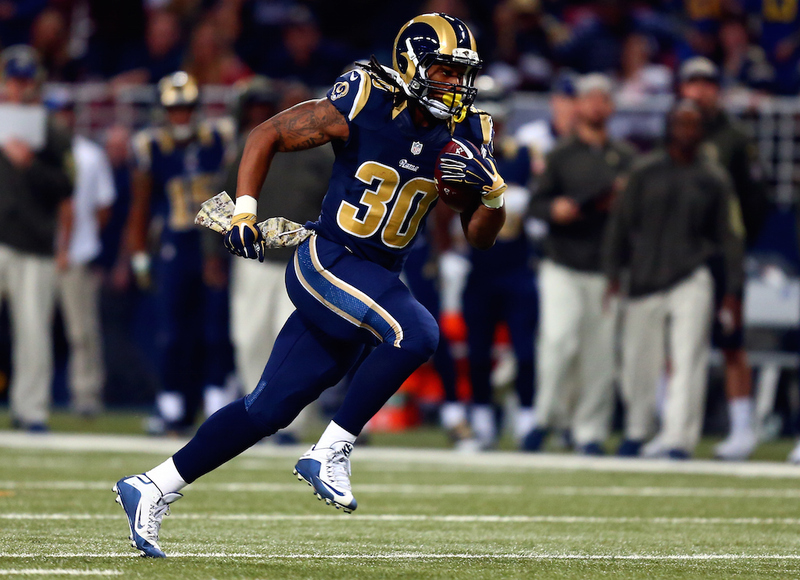 Gurley has an extremely bright future ahead. 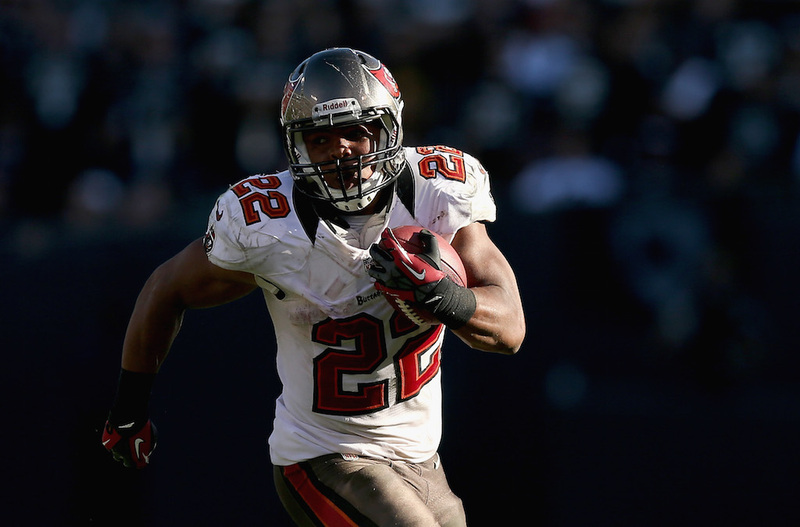 He has already established himself as one of the best running backs in the league. 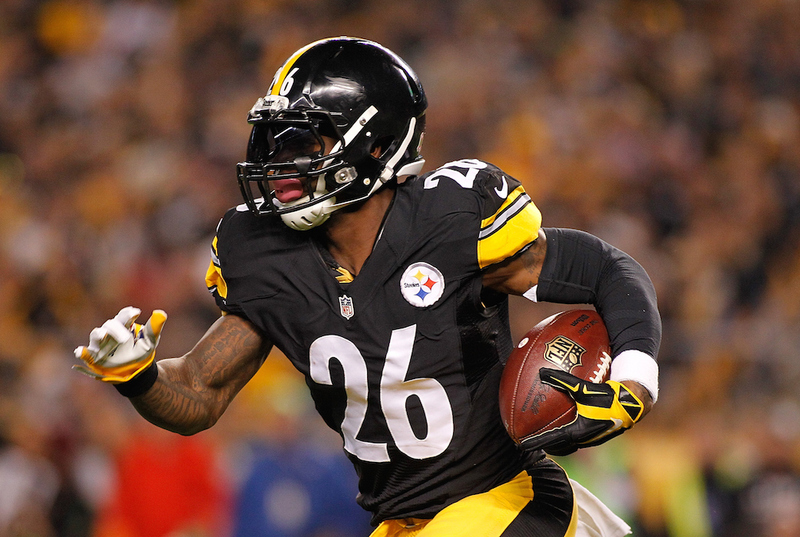 Although his 2015 season was cut short by a torn MCL, it doesn’t diminish the fact that the Pittsburgh Steelers running back is one of the top players in the game. Le’Veon Bell was phenomenal in the six games that he did play in, rushing for 556 yards over that span, which pushed him to the top of the league in rushing despite missing the first two games of the season due to a suspension. Bell had three 100-yard rushing performances and four overall games with more than 100 total yards with both rushing and receiving yards combined. What makes the 23-year-old one of the best players in the league is his all-around skill set. Last season he rushed for a career-high 1361 yards, which was second best in the league. Where he separated himself, however, was in his passing game. Bell is arguably the best receiving running back in the league — since the days of Hall of Famer Faulk — due to his great hands and route running out of the backfield. He had a breakout year in 2014, becoming the first running back in Steeler’s history to have seven consecutive games with 100 yards from scrimmage (tying Hall of Famer Walter Payton’s NFL record with three consecutive games with 200 or more yards from scrimmage). There’s no question that he was well on his way to another impressive season that may have topped his 2014 Pro Bowl campaign. All in all, Bell is the most complete running back in the league. He makes a compelling case for the league’s top running back. After missing almost the entire 2014 season due to an off-field issue, the Vikings’ star running back, Adrian Peterson, didn’t miss a beat when he returned to the field this year. He led the league with 1,485 rushing yards, marking the seventh time in his career that he surpassed 1,200 rushing yards in a single season. 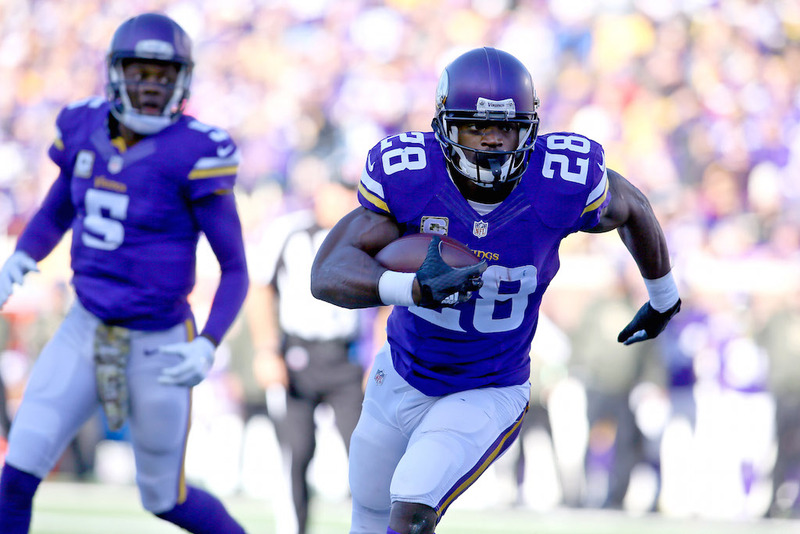 The 30-year-old clearly demonstrated that he can still be the same workhorse tail back and the main piece of the Vikings’ offense after topping 300 carries for the fourth time in his career. Peterson showed that he still possesses the same explosiveness and strength that separated him from any other player in the league. Peterson showed his big-play ability, finishing third in the league with 10 rushes for more than 20 yards. He led the NFL with 71 carries that went for first downs and was tied for the league-best mark with 11 rushing touchdowns. No. 28 also strung together seven 100-yard performances, including his sixth career 200-yard game that tied the NFL record with Hall of Fame running back O.J. Simpson. What this season proved more than anything is that Peterson is still the top running back in the league. Statistics courtesy of Pro-Football-Reference.com, ESPN.com, and NFL.com.